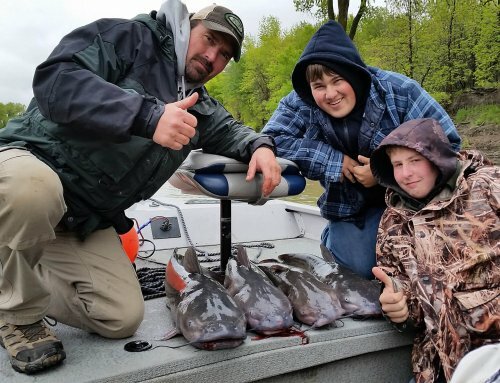 High water in rivers is one of the scariest situations many catfish anglers have to deal with. Not just water that is higher than normal but water that is near or above flood stage. 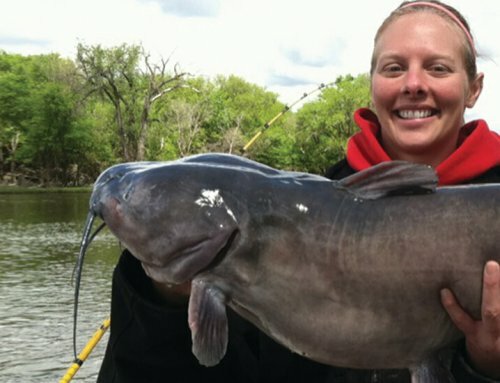 Many catfish anglers choose to stay home and wait for a better day. Only a few understand the magic that awaits in this situation. High water in rivers can be intimidating. I remember the first time I launched my boat in flow just a foot or so under flood stage. When the boat hit the current it spun around and was surprising to say the least. I thought, “Just keep cool give the motor some gas and go about your business.” I have to admit after that first time I did avoid that high of water for a couple more years. Not so much that I was afraid of the water, but that I didn’t understand how to fish it properly at the time and didn’t yet see the opportunities it presented me. Fast forward two years and I found myself faced with a decision, not start the guiding season or get out there and fish come hell or high water. I picked the second and what happened is downright shocking when thinking back on it, and even more shocking to people I tell in person. I was able to stay calm and catch channel cats with consistency. After that magical season, I now would rather catfish the high water. As stated earlier, boating in high rivers can be intimidating. There are some things that must be considered and extra care that must be taken to stay safe. First and foremost you have to stay calm when boating in high water. With the added river depth and higher flows there will be floating debris to contend with. Cautious anchoring is also a must when setting the boat up for fishing. Keeping cool you will be able to operate your boat safely around the floating debris and be able maintain constant control and catch more fish. Most people when in high water tend to be on edge and could panic should something go wrong and this is when things will go wrong. This is where your basic boating skills must be at their best. You have to constantly be running scenarios through your mind as you move up and down the river. Each potential situation has a different action that must be addressed on the fly to stay safe. Bottom line, while boating in high water take your time, assess the situation and don’t panic. When anchoring in high water it is critical to make a good anchor set and take some small safety precautions should things go wrong. First, when the rivers are high the main channel typically has a debris field. Even though most of the normal water fishing spots are in the main channel it is important to stay away from this floating debris while under anchor. 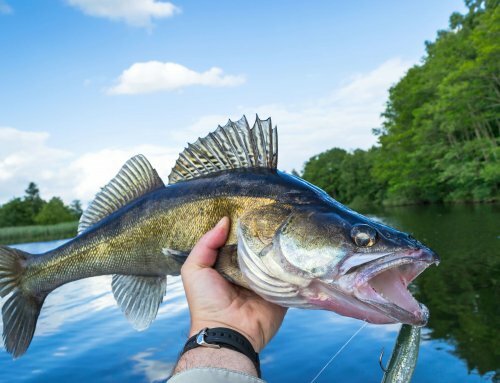 To avoid the debris, stick to the back sides of inside corners, fish on the edges of the main channel while staying out of the main current lines, or tie into the back of a snag forcing the snag to take the brunt of the debris that may hit the boat. Should you wind up in a situation where large debris could collide with the boat, keep a sharp knife near the front of the boat allowing you to quickly cut the anchor rope and release you from potential danger. In my boat I have a quick cleat at the front of the boat that I tie to when under anchor. This cleat offers a solid tie off and does not require a knot. The end of the rope is then tied to a small orange anchor buoy. Should danger arise while under anchor I just simply slide the rope from the cleat and let go. (This has never had to be done to date.) I can then move the boat away from the danger and after it has passed just drive back to the buoy and retrieve my rope and my anchor. When fishing high water the fish are probably not where you expect them to be, and most often they won’t be located in the main channel as they are in normal water conditions. This statement is very dependent upon what is considered high water to the individual. If the river is just a few feet above normal the fish may remain in the main channel but there is a point as a river approaches flood stage that the catfish will actually move out of the channel. When a river is rising or maintaining levels that are a few feet above normal flow the catfish will move to feed and rest in locations that are just out of the teeth of the main current. Looking in locations such as back sides of inside curves or in or near snags along the shoreline are great places to find catfish. When locating these spots, keep in mind that when the river is just a bit higher than normal you want to be close to the main current even though you are anchored and fishing out of it. The channel catfish will continue to use the main channel to move between resting and feeding spots. As a river nears flood stage the catfish will move almost totally out of the main channel and into areas out of the current to feed. This is the point where most rivers get fast and deep making it difficult for the fish to move and live anyway. When the river is this high the fish will adjust in the water. They will move to the outside edges near cut banks or up on the flat shelves along the bank. During this time, areas where there is normally shoreline become part of the river. Areas to look for catfish along these flooded banks are fallen trees that are still attached to the shore but have the trunk and branches submerged. Holes where trees have fallen out of the bank are also now flooded making new holes for catfish to rest and feed in. These holes fish exactly the same way as normal mid-river holes fish during normal water conditions. The last locations that form along these shorelines are grass flats. Grass flats in a flooded river can be as shallow as one foot of water but will hold trophy channel catfish. What draws catfish to these flats (especially in the first few days of a new high water period) is that worms and night crawlers will surface to escape drowning and the catfish will gorge on them. As a river rises from only a few feet higher than normal to approaching flood stage the river will actually break into three rivers. A river can be divided into a main channel, and two secondary channels, located on each side of the main channel. The main channel continues to carry the majority of the water while the secondary channels move at a slower pace. 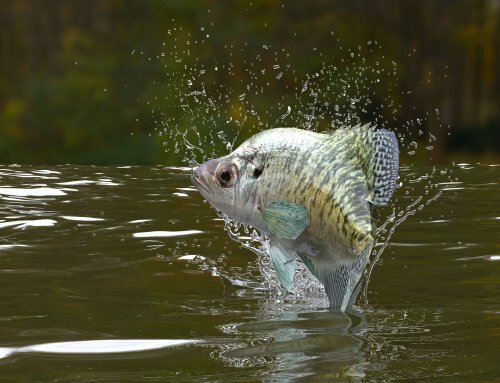 During the high water the fish will move into the secondary channels living in the structure mentioned in the previous section of this article. Once you realize that these two secondary channels exist and that the catfish are living in them, you simply fish the secondary channel just as you would in the main channel during normal conditions. When you realize that the fish are in the secondary channels it is critical that you understand how and when to move to the secondary channel and then back to the main channel when high levels begin to subside. Through record keeping I have discovered the exact point when the Red River that I normally fish makes that shift. I simply have to see the gauge height or flow of the river on the chart to know which of the two should be the hotspot. These gauges are located online at either HYPERLINK “http://www.water.weather.gov”www.water.weather.gov or HYPERLINK “http://www.waterdata.usgs.gov/nwis/rt”www.waterdata.usgs.gov/nwis/rt. To determine this point what you must do is notice during the higher water when and where the debris is moving down the channel. You should notice that the debris is moving one speed that is faster than the two edges. The secondary channel is located between the main debris flow and the eddy formed near the shore. With a little record keeping you should be able to customize the point of adjustment over time. 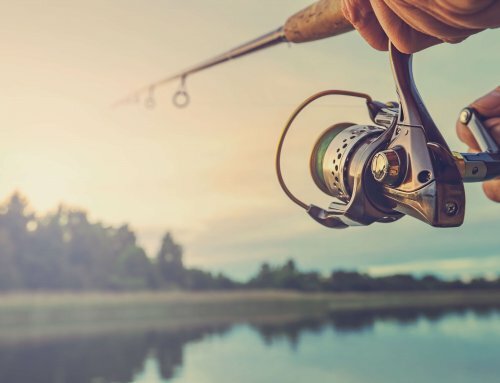 High water conditions have gotten a bad rep, but if you keep calm while at the helm of the boat and use a small amount of research and adjustment to break down a river and fish the way you like, high water will no longer be an issue to determine whether you go fishing or stay home. Be safe, have fun, and catch more channel cats in the high water.